Field Elementary School officially moved to the new Alpha Hart Lewis Elementary following winter break. This four-year process has resulted in a new school with a new look and features. 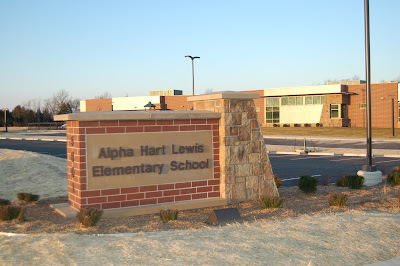 Alpha Hart Lewis Elementary School is located off of Arbor Pointe Parkway, a newly developed area on the north side of Columbia. The elementary school brings many upgrades that the students did not have at Field. The building is set up in a pod design, meaning each grade level has a designated area within the school, with five classrooms, a group bathroom and a commons area used for group activities. Dan Boatman, former principal of Field and current principal of Alpha Hart Lewis said, “At Field, we had one group bathroom. The new elementary has a group bathroom for each grade level.” This helps the administration keep track of students and prevent problems between older and younger students. “You don’t have a first grader and a fifth grader in the same bathroom,” said Boatman. Another plus to the new school is the separate cafeteria and gym space. At Field, one space was used for both purposes, causing scheduling problems on days when students could not go outside for recess. Boatman said the new school has a classroom especially for music and art, which means the new school does not have any outside trailers or music classes on a traveling cart. He also said parents like the new parking lot and drop-off area at the new school, but a significant upgrade for the parents is the new security features. 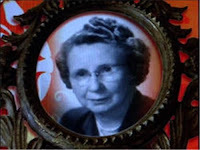 Alpha Hart Lewis was designed to ensure that during school hours the only way into the building is through the main office.